This is a quick lesson in how to transform that larder staple-a tin of tuna- into something delicious. I love tinned tuna but I do think it requires a bit of pimping. 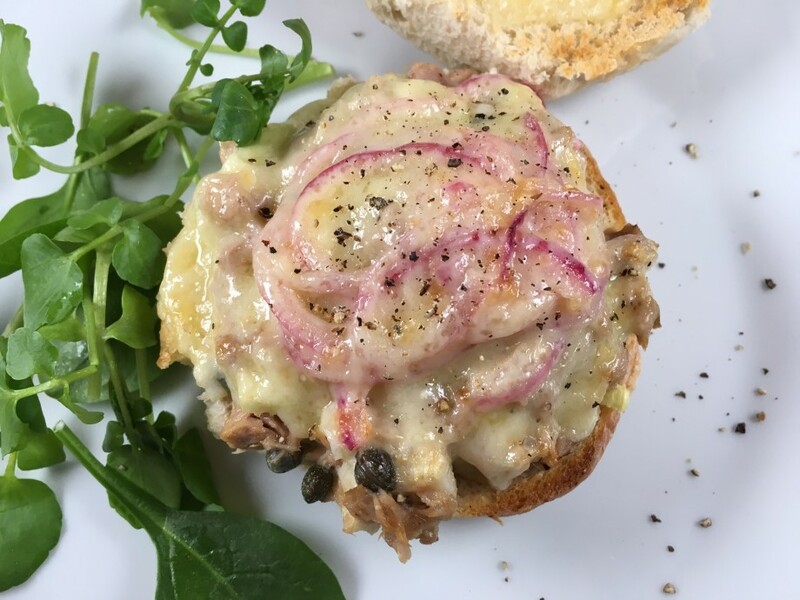 You could spread the mixture onto good white bread –one of those slices of Waitrose sourdough for example-but toast one side to give a bit of crunch. I prefer to fill rolls as the hollowed-out base contains the mixture without it spilling out. Put the sliced onion in a bowl and add a pinch of salt. Pour the vinegar over and leave for at least one hour. This will get rid of the pungent oniony flavour which means you won’t have onion breath for days to come. Drain the onion and set aside. 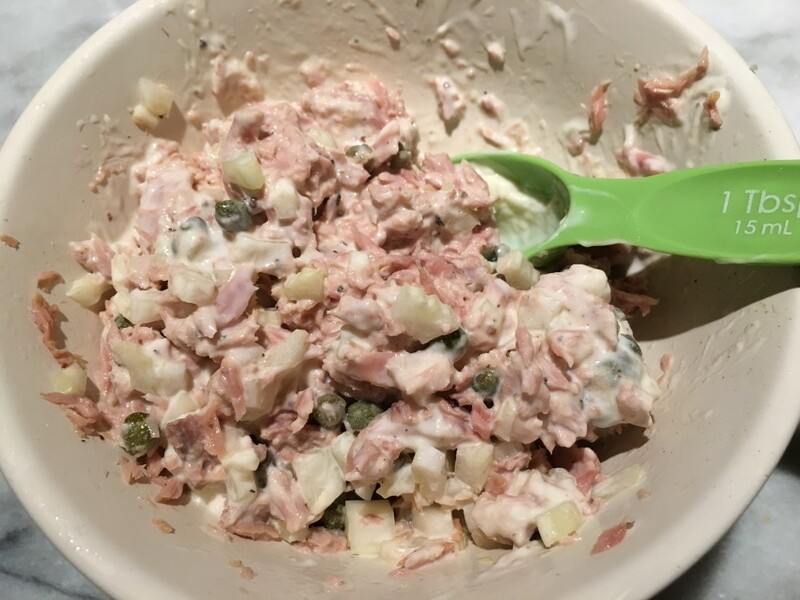 Put the tuna in a bowl and stir in the celery, capers, mayonnaise and lemon juice. Taste and season with salt and ground black pepper. Heat the grill to high. Split the rolls horizontally and remove some of the dough from both bases, to make a slight hollow in each. 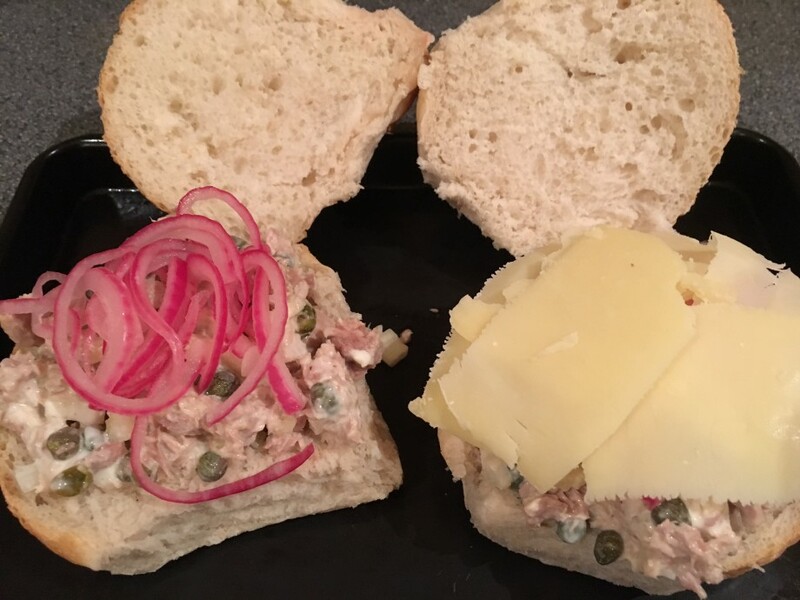 Divide the tuna mixture between the two bases and sprinkle over a few onion slices. Top with the cheese. Place under the hot grill for 3-4 minutes until the cheese has melted . Serve straight away with a few salad leaves, fried onion rings (see my recipe) or French fries if you crave more carbs.